If your new here this day is all about getting creative and linkin' up your fabulous, thriftiest...most frugalicious home decor finds!..And if you've been Crafting or Doin' it yourself...well share that too because we want to see what creative projects you've been working on! If you've still got questions...click here. We've got a new Sponsor here at Finding Fabulous...Red Posie! Red Posie is a unique on-line boutique that specializes in vintage home decor, accessories and furnishings. In addition to authentic & vintage thrift store finds, they offer Miss Mustard Seed Milk Paint in quart sized containers so you can paint furniture like a pro with charm and character! For our Giveaway today Red Posie is offering a quart sized container of Miss Mustard Seed Milk Paint (an $18 value) in your choice of color....to one lucky Frugalicious Friday participant! 1. Follow Finding Fabulous over there to the right...and leave a comment below. 2. Follow Finding Fabulous on Facebook...and leave a comment. 3. Finally follow Red Posie on Facebook...and leave one final comment. Okay, 3 comments and 3 entries below ...gives you 3 chances to win! A winner will be announced next week... Good luck guys! Just FYI, your link to Red Posie is just linked to Facebook, not their direct site. I do that all the time! I'll come back and like their page soon....I couldn't find it with a basic FB search. I like finding fabulous on facebook! I follow Red Posie on Facebook. Thanks so much for hosting - have a great wknd! I follow Finding Fabulous over there to the right. Thanks for letting me share my own recipe of healthy, tasty and delicious Fruit Drink: Power Nutrition In A Cup! I've followed your lovely blog for a few months now via email and GFC! Yeah, I finally found them, so I've liked Red Posie on Facebook. Thanks for hosting an awesome giveaway!!! Thank you so much for hosting, I'm a follower! I have an old desk in my kitchen that would be perfect to paint with milk paint! I would be thrilled to have you join my party too. It's brand new and I am trying to spread the word! Have a wonderful weekend! I linked up two things today. (1) I have been overrun with tomatoes from my garden. And I love sundried tomatoes. I've linked up Sundried Roma Tomatoes-made in the oven (#149). They are so good on a pizza, a sandwich, or just by themselves. (2) I've also linked up simple recipes to make all of your Skin Care from home. The ingredients are healthy, moisturizing, wrinkle-fighting and non-toxic (#150 ). Hope you enjoy and thanks for hosting the party again! 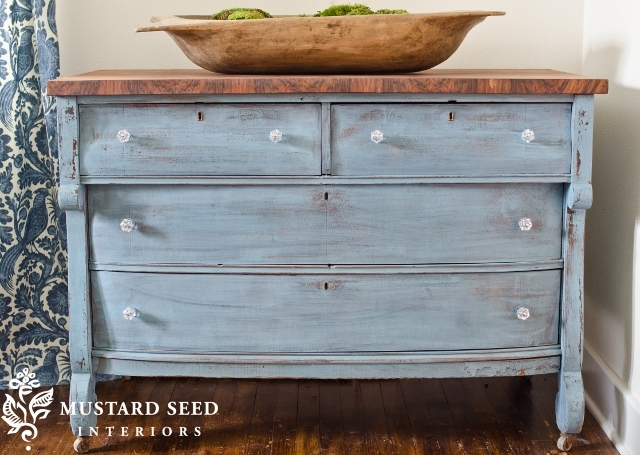 I just joined your site and have been reading all about Miss Mustard Seed's milk paint line. Can't wait to order some. Thanks for the giveaway - I'm a follower of FF Blog. Hi, Jane! 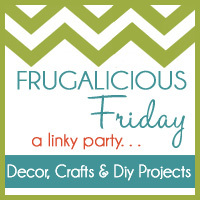 It's great to be following your blog and linking up to your awesome party! Thank you for hosting! :) I'm following via GFC! Would love some MMS Milk Paint! I'm a new follower - love your blog and the parties that you host!